Mother of Peace Two-thousand years ago, a young, Roman princess danced for a lustful king. She was Salome, whose name meant “peace.” But the events which followed her dance were anything but peaceful. Described by history as the epitome of the Whore of Babylon, her later portrayal in plays and movies only served to enhance this image. But what if everything we thought we knew about Salome was a lie? In this slim text, Salome walks out of the mists of time and speaks directly to the modern world about the events surrounding her life. From the royal palace in Jerusalem, to the deserts of Egypt and beyond—Salome’s journey through the dark night of the soul explores politics, faith, the loss of the soul, and the regaining of the heart. 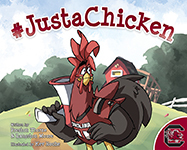 #JustaChicken #JustaChicken is a classic coming-of-age story. We witness Cocky on his hero’s journey to discover the greatness that lies within all of us. On his quest to win a trophy, he gains something much more valuable. This is the story of YOU, The Story of ME, The story of US(C)! 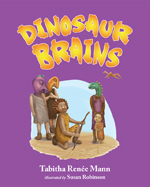 Dinosaur Brains Dinosaur brains have been keeping people from reaching their dreams since the Stone Age. Don’t know what a dinosaur brain is? Neither does Tabbie! 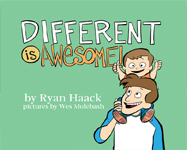 Join her as Grandpa teaches that dinosaur brains shouldn’t stop you from reaching your dreams. Goodnight Pensacola Say goodnight to some of the Emerald Coast’s favorite landmarks! 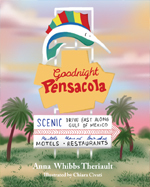 An illustrated bedtime story for both locals and visitors that showcases the beautiful city that is Pensacola, Florida. 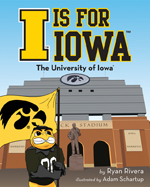 I is for Iowa From Kinnick Stadium to Carver-Hawkeye Arena and everywhere in between, I is for Iowa will take you all across the University of Iowa campus and to a few favorite Iowa City spots. Go Hawks! Mimi’s Adventures in Baking Allergy Friendly Treats Embark on a baking adventure with Mimi where she will measure, mix, and bake her way to the perfect batch of granola bars. If Mimi can do it, so can you! 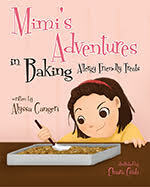 Mimi’s Adventures in Baking Allergy Friendly Treats is the second book in the Mimi’s Adventures in Baking series. 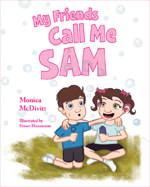 My Friends Call Me Sam As a child with multiple disabilities, Sam demonstrates a heroic spirit. She is a fearless six-year-old girl with amazing strength and determination, and though challenges are a “normal” part of her life, you will see that she lives so happily that it would be unfair to focus solely on her disabilities. After all, there are many things she can do…just like you! Ohio University A to Z Experience Ohio University from A to Z. A book for Ohio University fans of all ages. Rainbow Deals with Pride Rainbow is proud of his beautiful wings and ability to fly, but he’s showing off just a little too much. He thinks it’s payback time for Lightning, the butterfly who used to taunt him. But is this kind of revenge really the right thing to do? 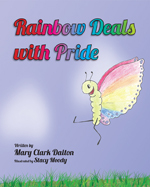 Follow Rainbow as he learns a hard lesson on pride. 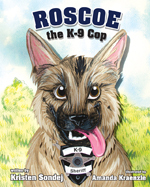 Roscoe the K-9 Cop K9 Roscoe is a delightful story that tells the heartwarming and special bond between a police officer and his K9 companion. Follow their day together as they work and create friendship between an officer and a dog. 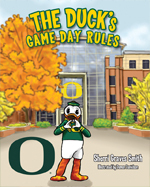 The Duck’s Game Day Rules Come along with The Duck as he takes you through a game day filled with fun! Along the way, The Duck teaches manners and good sportsmanship in the traditional University of Oregon way! 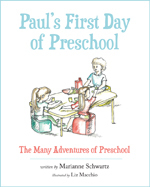 The Many Adventures of Preschool: Paul’s First Day of Preschool Preschool is starting and Paul is nervous. He talks to his mom and even to himself in the mirror trying to assure himself it will be okay. With all these comforts and Mom supporting him, will Paul have a great first day? 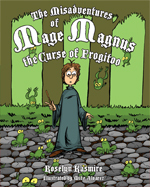 The Misadventures of Mage Magnus: The Curse of Frogitoo Can Mage make his bully disappear? 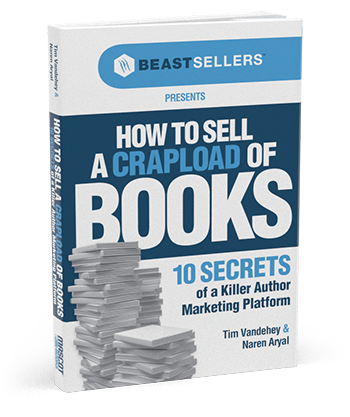 Yojo Presents: Choose to Read YoJo doesn’t want to read and it’s causing problems. 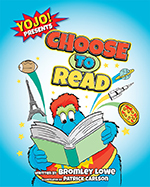 Will his friends be able to get YoJo to Choose to Read?